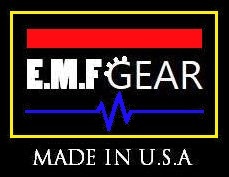 Faraday Shield by EMF-Gear is a protective pouch for your cell phone and tablet designed for EMF radiation shield protection, significantly reducing high frequency RF EMF generated from sources such as wireless internet modems and routers and other wireless devices, Bluetooth devices in the home and car, smart meters, cell towers, microwaves, cordless phones, security systems, as well as low frequency electrical fields from sources such as electrical wires, electrical Boxes, Household Appliances and high power transmission lines. High Quality Silver, or Nickel & Copper material for Performance. Paypal & All Major Credit and Debit Cards.